European Union chief Donald Tusk warns of a bruising Brexit battle ahead as Britain and the remaining 27 EU countries move onto to discussions over their future trade relations. European Union chief Donald Tusk warned Thursday of a bruising Brexit battle ahead as Britain and the remaining 27 EU countries move onto to discussions over their future trade relations. 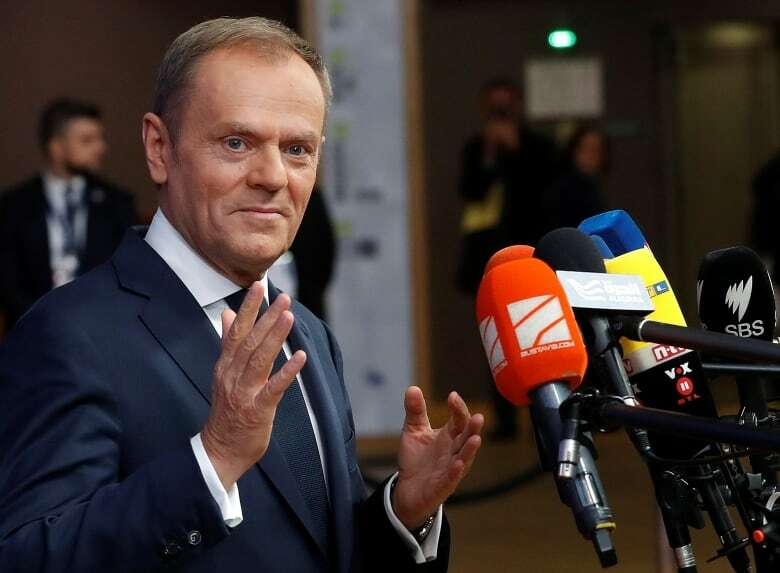 As all 28 EU leaders, including British Prime Minister Theresa May, arrived in Brussels for a summit meeting, Tusk urged the EU-27 to continue to present a united front in the Brexit talks. "Only when we are united can we successfully perform even the most difficult issues and tasks," said Tusk, the EU's council president. "I have no doubts that the real test of our unity will be the second phase of the Brexit talks." On Friday, the EU is set to give the go-ahead for talks to start on the future trade relationship. 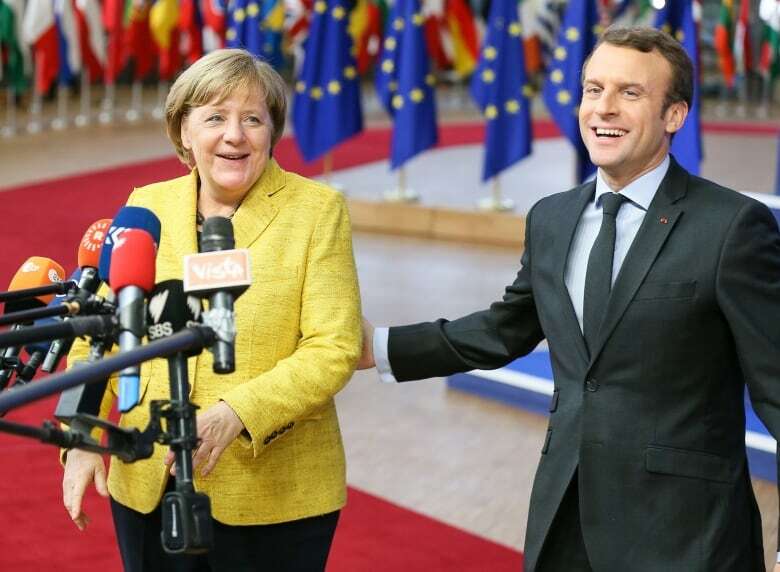 Since the EU nations have widely diverging economic relations with Britain — Germany sells a lot of cars to Britain while Spain wants British tourists — and different aspirations on the future relations, maintaining unity might become difficult. The anticipated decision to authorize the second stage of the Brexit talks follows last week's agreement on matters the EU wanted settled first. These related to Britain's exit bill, the need to maintain an open and frictionless border between Ireland and Northern Ireland, and the rights of citizens' in each other's territories. May is due to address EU leaders Thursday evening and welcome progress in the Brexit talks. So far, the EU has been united, while Britain's approach has been more chaotic, not least because May's Conservatives lost their majority in a general election in the summer that didn't need to be called. Further questions have been raised by Wednesday's defeat for May in a vote in Parliament that will give lawmakers the final say on the final Brexit deal. 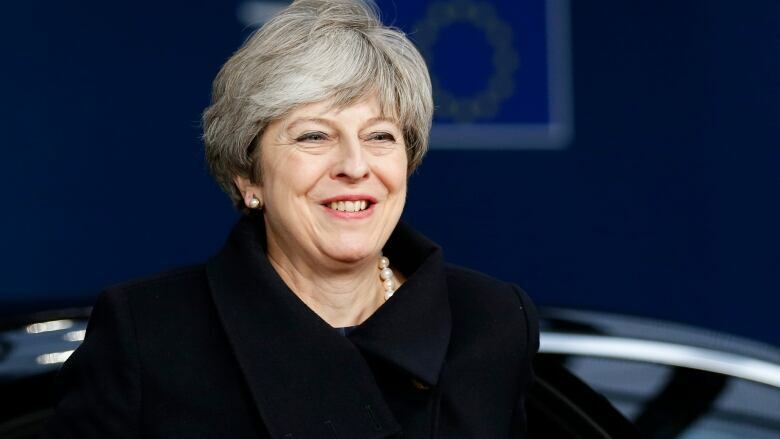 Despite what is widely perceived as a major setback for May, she said on her arrival that "we are on course to deliver Brexit." Foreign Secretary Boris Johnson also downplayed the domestic woes, which involved 12 members of May's conservatives going against party in the vote. "My view is it won't for one second stop Brexit or stop the Brexit process," Johnson told reporters at a press conference. Luxembourg's prime minister, Xavier Bettel, said May's defeat in Parliament will make her negotiating stance even more complicated. "As soon as she negotiates something you will need to go back to London to get an approval from the parliament and this is not making her life easier. It just makes it more complicated for the U.K. government." And Austrian Chancellor Christian Kern said "there is a lot of cake left to be eaten" – a clear reference to British Johnson's remark early in the Brexit talks that Britons could "have our cake and eat it" during the negotiations. In the draft summit statement, which could be modified before Friday, the leaders emphasize the importance of organizing a transition period, probably of around two years, to ease Britain out of the EU from 2019. British businesses are urging a transition deal soon so they can plan ahead. Without one, many firms have warned that they could put in place contingency plans which could involve many of them relocating activities into the EU single market. That would buy time for all sides. Britain is due to leave the EU on March 29, 2019, but the Brexit negotiations must be wrapped up by the fall of 2018 to leave time for individual EU parliaments to endorse any agreement. During a transition period, Britain will have no seat at the EU's table, no lawmakers in the European Parliament and no judges in the bloc's courts. But it will still be bound by European law, without having any say in decision-making, and the European Court of Justice will remain the final arbiter of any disputes. According to the draft statement, Britain during this period "will no longer participate in or nominate or elect members of the EU institutions, nor participate in the decision-making of the Union bodies, offices and agencies." Ahead of the summit, Britain's chief Brexit negotiator, David Davis, said a situation in which the U.K. crashes out of the EU without a deal has become "massively less probable" as a result of last week's preliminary agreement. Davis told lawmakers that a "no-deal" Brexit was now extremely unlikely, although "we continue to prepare for all outcomes."